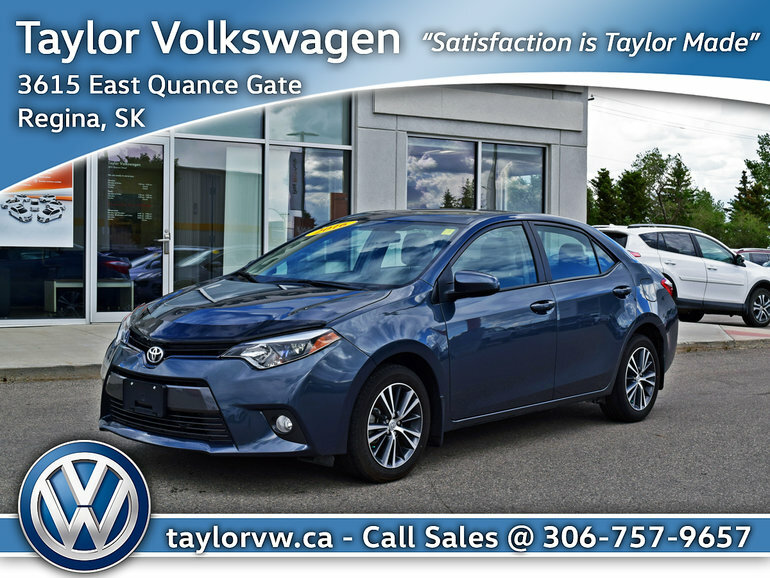 This 2016 Toyota Corolla LE is equpped with a Sunroof, Bluetooth, Back-up Camera, Heated Seats, and is known as one of the most practical cars on the market. Toyota is famous for its reliability, and the Corolla provides it alongside the fuel-economy, and very attainiable price that makes it a good value for anyone needing a daily driver. Call today to book your test drive, and make sure it is everything you hoped for. You won't be disappointed. Interested by the 2016 Toyota Corolla 4-door Sedan LE CVTi-S This low km Corolla is a perfect daily driver ?